Business Insider asked analytics company Ranker to churn through 20 million data correlations to identify the biggest differences of opinion between Apple and Microsoft fans. 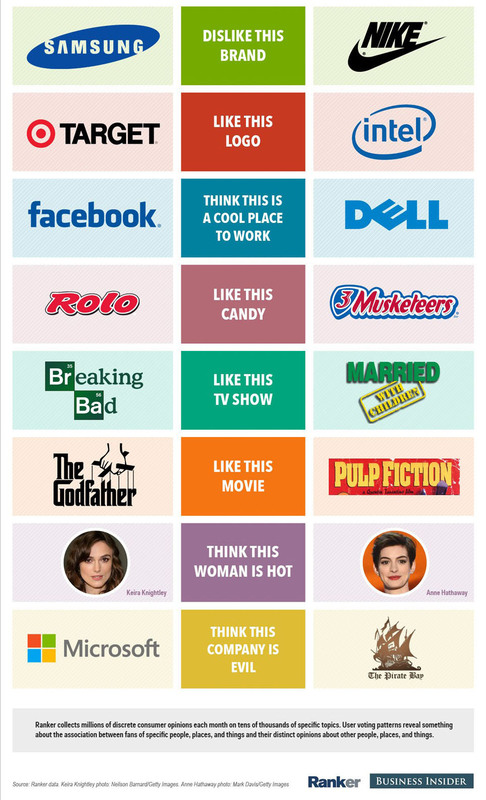 Apple fans were found to be more likely to like BMW, Mercedes, Gap and Starbucks; to dislike Samsung (no surprise there); to prefer Breaking Bad to Married With Children; and The Godfather to Pulp Fiction. The rest of the infographic below.